For the past 18 years, I pursued the same idea with a passion, and that was to create a website builder that anyone could use to promote their project online. Now I’m going to take this a step further on a new adventure with Deutsche Welle (DW—Germany’s public international broadcaster) to speak to other entrepreneurs and learn about how they’re making a difference in the world regarding the issues affecting their country. I look forward to hearing their stories and writing about my journey in this blog. My own journey as an entrepreneur began in 2007 along with my co-founders Spring and Matze, when we realized that instead of building websites for people, we could create a tool to let people build their own sites, without any coding required. We built this idea from the ground up into Jimdo—a company that’s now helped build over 20 million websites now has 200 employees (with all the struggles and successes this brings). You could call it my entrepreneurial education. Founding Jimdo taught me a lot along the way: about people, about myself, and about some of the hurdles entrepreneurs face. I’ve also learned a ton straight from our customers, most of whom are entrepreneurs themselves. The story of our customers is also the story of Jimdo, which is why I want to give back some of what I’ve learned and hopefully offer some teaching of my own. 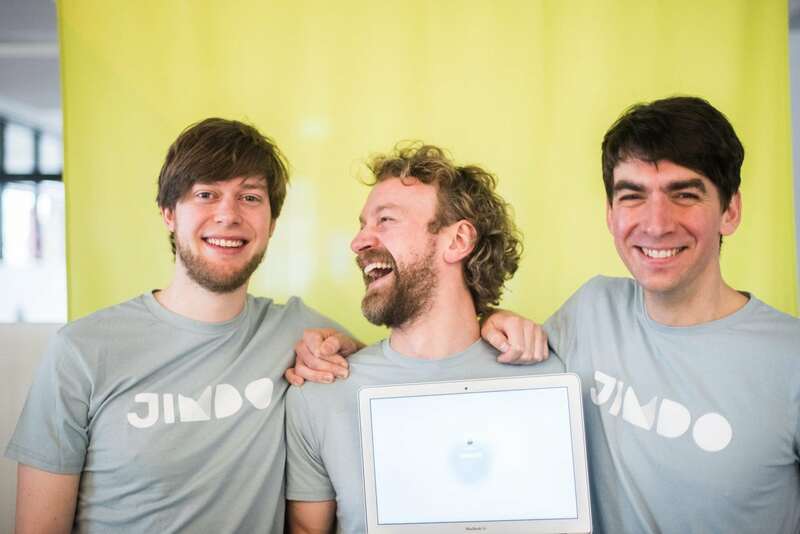 Jimdo’s three founders: Christian Springub (left), Fridtjof Detzner (center) and Matthias Henze (right). The simple answer for me is because I love speaking to other entrepreneurs who love what they do and watch their idea develop from a dream into a business. Inspirational speaker Simon Sinek says in his TED talk that “People don’t buy what you do, they buy why you do it.” I truly believe that you can only succeed if you challenge yourself and love what you do. The Founders Valley project with DW gives me the perfect opportunity to do what I’m passionate about: which is to learn about other countries, see different perspectives from other entrepreneurs and witness firsthand the progress and new technology that has occurred since I started. It’s an opportunity that makes me truly grateful. I will travel with DW across at least 8 countries in Asia, depending on where the journey takes us. We’re a small team: a two-person camera crew, one journalist and myself. I hope this keeps us agile and we can get some great, in-depth stories behind the people and global issues affecting these countries such as urbanization and global warming. In Mongolia, we’re going to visit Erdenet Mining—one of the largest copper mines in the world to find out what the mining industry means to the people here. This experience will give me the chance to build a more complete picture of what’s going on in the world and how entrepreneurs can make a difference. As an entrepreneur I think it’s important to find the right problems, this is the basis for any innovation or improvement. Through this journey, I hope to connect with new and interesting people that will open my eyes to the impact others are making across the world. In Germany, I’ve experienced some of the advantages and hurdles that entrepreneurs face. Just getting a business license can require Herculean effort). But what about a place where the power isn’t always on? Or where the closest entrepreneurs’ meetup is….500 kilometers away? What’s even more amazing is that these are also places where many entrepreneurs are thriving, and coming up with new approaches to some of the world’s toughest challenges. I’m so excited to see all of this firsthand and learn from the people we’re going to meet along the way. Maybe I can even bring back some of what I’ve learned to our Jimdo office. Fridtjof Detzner is a German entrepreneur and co-founder of Jimdo, the DIY website builder that has helped build over 20 million websites since 2007. Detzner’s passion extends beyond building a great product to creating a sustainable, values-driven and innovative company culture. Fridel balances work with his love of sports, outdoors, travel, and meeting and learning from entrepreneurs around the world. As a Leader, Can You Learn to Embrace Healthy Conflict?